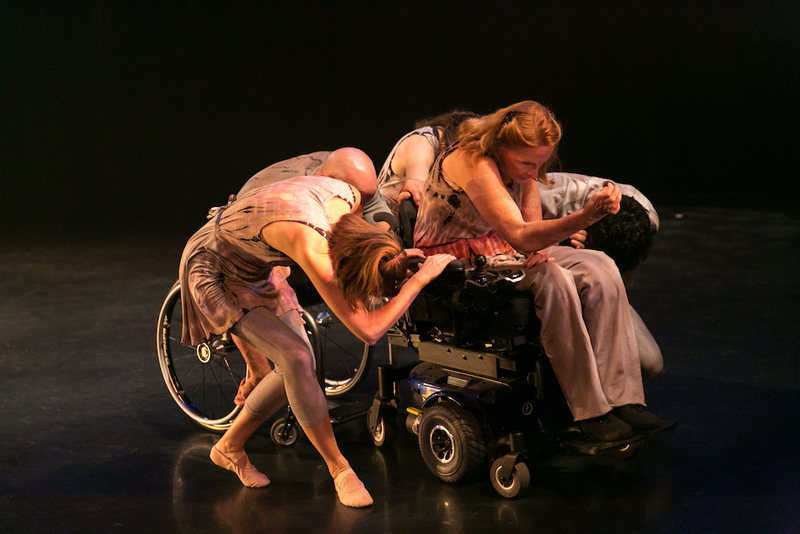 "As a dance artist who uses a wheelchair, I work in the field of physically integrated, or inclusive, dance — that is, dancers with and without disabilities performing in a work together," says dancer Ginger Lane. "I confront the supposedly inherent contradictions of disabled bodies being able to dance along with non-disabled dancers, and engage the audience to think beyond the misperceptions and stereotypes they may have." Dancer Ginger Lane, who has used a wheelchair since 1984, has, among her many artistic endeavors, collaborated and performed with the Joffrey Ballet of Chicago; was a member of Dance>Detour, a company of dancers with and without disabilities; and has produced the physically integrated dance concert "Counter Balance" for the past eight years. This year she was one of the recipients, along with six other women, of the annual 3Arts Awards from Chicago-based nonprofit organization 3Arts. 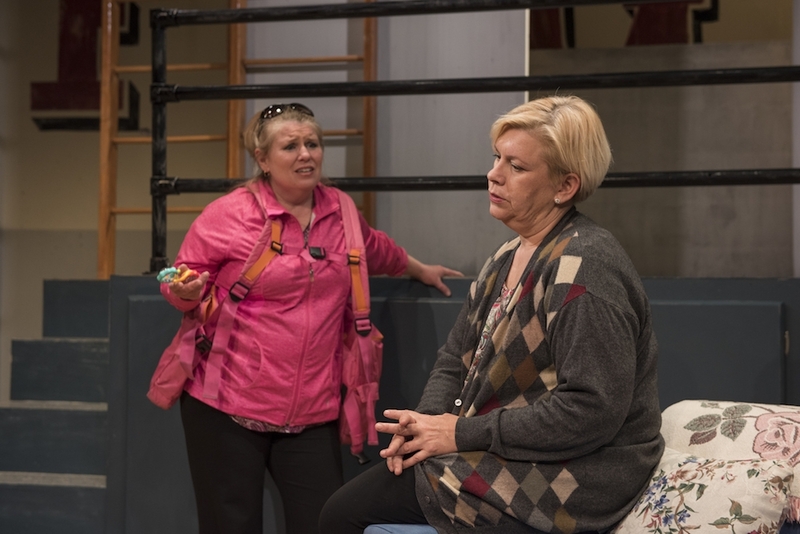 Bridging social justice and the arts, 3Arts provides career-spanning support to women artists, artists of color, and artists with disabilities working in the performing, teaching, and visual arts in the Chicago region. The 3Arts Awards program is the organization's signature initiative. National juries select 10 artists in dance, music, teaching arts, theater, and visual arts for unrestricted $25,000 awards. Artists may use the award in any way that makes a difference to their lives and careers, including paying off debt, purchasing equipment, hiring collaborators, producing new work, and saving for the future. A no-strings-attached award is significant on its own, but 3Arts Awards represent more than just cash. They are the entry point to multiyear support that helps artists build momentum in their careers over time. 3Arts awardees are eligible for project funding, residency fellowships, informal and formal professional development, and promotion. According to 3Arts, its investment in local artists' enterprises also reflects the organizations commitment to the well-being of every neighborhood in Chicago where the these artists work. Since 2007, 3Arts has distributed more than $3 million in total funding to more than 600 artists. The newest recipients of 3Arts Awards were celebrated at an event in Chicago on November 6 of last year. Seven women were among this year's honorees, and all serve as shining examples of women who impact and inspire those around them, women who help show that we are all one. "I have always had a spirit of inquiry, a desire to collaborate with others, and a passion for engaging with young people," says 2017 3Arts awardee Ayriole Frost, a composer, performer and teacher who co-founded and currently serves as the executive director of Shift: Englewood Youth Orchestra, a youth development program on Chicago's Southwest side. "All inform my practice as a teaching artist. Our Shift: Englewood Youth Orchestra program is still small and young, but I have spent the last three years working with amazing young people, and I find that they inspire me every day just as I hope I inspire them." Read more about the inspiring, impactful women who received 2017 3Arts Awards by clicking on their photos below.